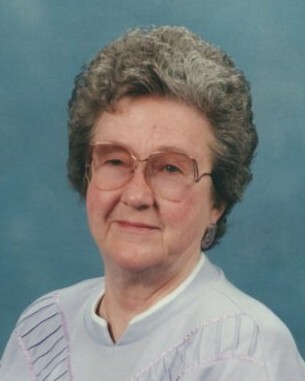 Marie Dooms of Nampa, Idaho died January 30, 2019 at Streamside Alzheimer’s and Memory Care Unit in Nampa. Funeral Services will be held at 1pm, Wednesday, February 6 at Alsip and Persons Funeral Chapel, 404 10th Ave South Nampa, Idaho. A visitation will be held at 12:30pm, prior to the service. Memorials may directed to The Veterans of Foreign Wars, or the Disabled Veterans Funds. Marie Evilo (Cooley Tipton) Dooms was born April 6, 1928 in Williams County, Ohio to her Parents, Alda J. (Davis) Cooley and Lincoln Morris Cooley, and her grandparents Jacob W. and Sarah Jane (Delong) Davis and Sanford A. and Rebecca Ann (Cleveland) Cooley. She was the fifth of eight siblings. She attended schools in Bryan, Ohio and between her junior and senior years worked as a weather reporter for the U.S. Weather Bureau in Juntura, Oregon during the summer of 1945. She returned to Bryan and graduated the spring of 1946. She then moved to Juntura, Oregon and has lived “out west” ever since. Marie married John J. Tipton March 14, 1947. She had her daughter, Theresa Marie Carter (Mark) on January 29, 1948. John and Marie divorced the next fall. She then moved to Ontario, Oregon and started her career as a telephone operator; she worked there for nearly 5 years. She married Elmer Wallace Dooms in 1952 who brought his two children to the new union, Ronald Lee Dooms and Cheryl Ann Grimes (Tom). In July of the following year, Marie and Elmer had a son, Leonard W. Dooms (Linda). During this time, Elmer ran several service stations in Caldwell, Nampa, and Mountain Home. Marie worked as Elmer’s receptionist and secretary for many years while caring for her family. Their youngest son Richard A. Dooms (Deb) was born August 10, 1957. Wanting her children involved, Marie was a Den Mother of Cub Scouts for about 5 years, as well as a Girl Scout Assistant for 5 years. Marie was also dedicated to her church, The Church of the Open Door (the name later changed to Sovereign Grace Fellowship). She joined when her 5 kids were small, and was an active Deaconess for many years and only resigned when she could no longer do the duties of that commitment. After Elmer died in 1977, Marie began work as a PBX operator at Mercy Hospital in Nampa. She worked there for 20 years. She returned to Bryan, Ohio for 1 month to care for her mother who had broken her arm, then later for two years to care for her mother who needed additional help before she died. After her retirement, Marie began visiting and traveling with friends and family, taking trips around the country including a cruise to Alaska and a trip to Europe. The summer of 2015, Marie moved to Streamside Assisted Living, and later to the Alzheimer’s and Memory Care Unit. Her family wants to thank the staff at Streamside for their dedicated and loving care that they gave Marie, along with the staff at Encompass Health for their assistance in hospice care. Marie is survived by her brother Homer J. Cooley (Leona) of Orville, California, her daughter Theresa (Mark) Carter, grandson Travis (Tammy) Carter, great-grandchildren Levi (Teva) Braddock, Halie (Travis) Alley, great-great-grandchildren Colt and Kinzley Alley. Granddaughter Natalie (Sean) Huntington, great-grandsons Grayson Huntington and Jake Burton. Her son Leonard (Linda) Dooms, grandsons Caleb M. Dooms, Zebulun A. (Whitney) Dooms, great-grandsons Wrykker and Zaxxton Dooms, and granddaughter Hannah E. Dooms. Her Son Richard A. (Deb) Dooms. Her stepson Ronald L. Dooms and her stepdaughter Cheryl (Tom) Grimes. Her sisters-in-law Jan Cooley and Ruth Cooley. Three sisters-in-law on Elmer’s side; Elwanda Bales, Lois Marks, and Larna Wilson, and one brother-in-law, Daniel Wilson. She is preceded in death by her parents, her husband Elmer, and her brothers: Leonard, Roy, Jim, Jesse, and Scott Cooley. Her Sister Gina Wussow, her infant grandson Daniel Dooms, and her step grandson Joey Grimes.